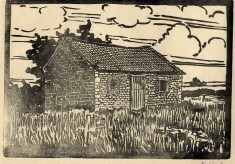 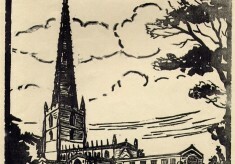 A set of lino-print pictures created and printed by pupils and teachers at Bottesford’s old village school. 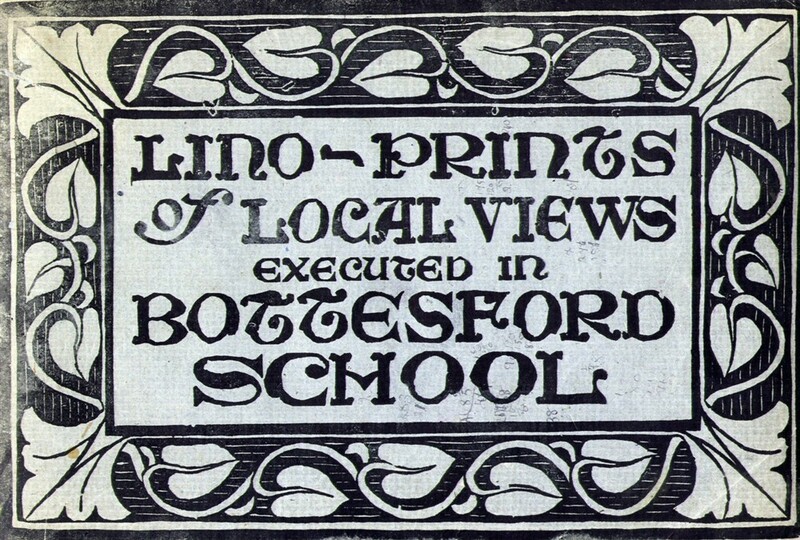 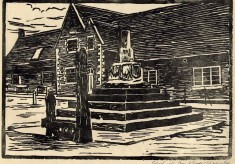 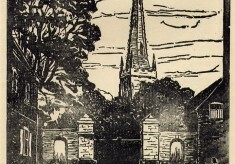 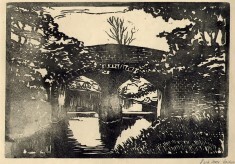 They were published in the Bottesfordian school magazine during the 1930s, but these images were prepared by scanning a display set in the archive of the Bottesford Local History Society. 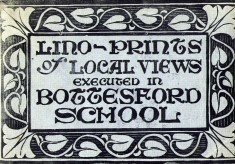 The title page to this display set of prints. 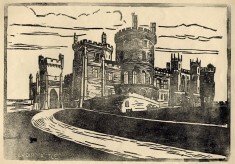 A view of the western aspect of the castle looking up the approach drive. 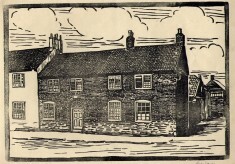 View of the Rutland Coffee House, Bottesford. 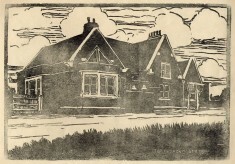 A View of Bottesford Station Building. 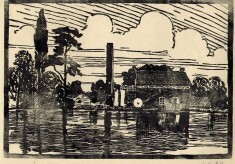 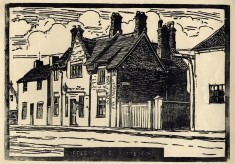 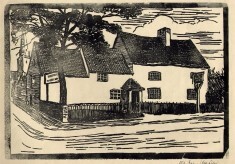 Item: View of the Rutland Coffee House, Bottesford. 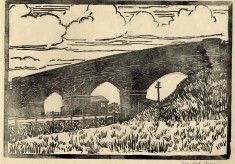 Item: A View of Bottesford Station Building.